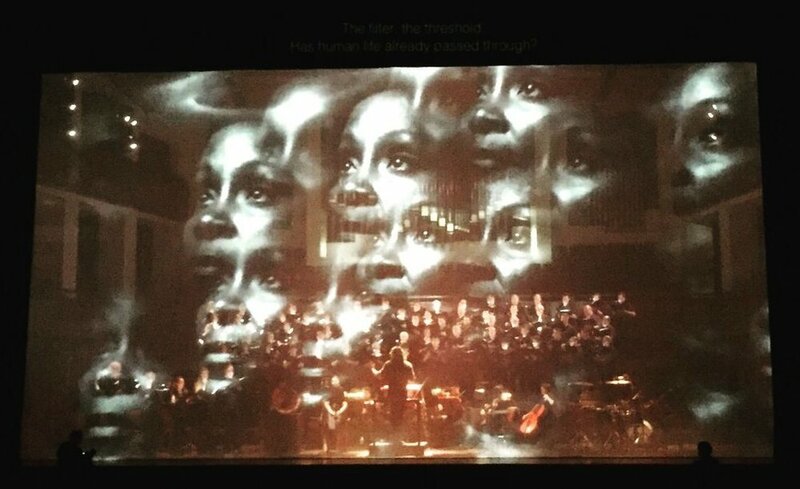 Legacy was screened at the Kennedy Center Concert Hall (JFK Centennial Celebration, May 25, 2017) prior to a performance of The Hubble Cantada. Lumahai Productions was deeply involved with the Kennedy Center's year-long celebration marking the centenary of John F. Kennedy's birth on May 29, 2017. In its programming and public initiatives, the Center was guided by a handful of enduring ideals championed by the visionary leader: Courage, Freedom, Justice, Service, and Gratitude. Lumahai was commissioned to create a short-form video, Legacy, setting lines from President Kennedy's speeches to original music and graphics. President Kennedy Clips courtesy of the John F. Kennedy Library Foundation. Full moon photographed from Apollo 11 Spacecraft, NASA. Following a Kennedy Center performance of Hubble Cantada, Lumahai's Elena Park moderated an onstage panel with [L-R, second from left] librettist Royce Vavrek, composer Paola Prestini, Hubble Telescope astrophysicist Mario Livio, and VR filmmaker Eliza McNitt (Fistful of Stars). An image from The Hubble Cantada.